Where Hamelink’s early works were much more about fragility, her recent works are bold statements. With a hammer and wedges she finds the essence of what lies beneath the matter by splitting it open and showing its insides to us. To the artist the rough surface is like the inner world of the stone, harboring invisible turmoil that can only meet the eye by the act of splitting. There is something within that stone wishing to come out and manifest itself. There is a distinct field of tension in which to work: the stone might crack in a very unpredictable manner, catalyzing a new chain of events in dialogue with the material itself. 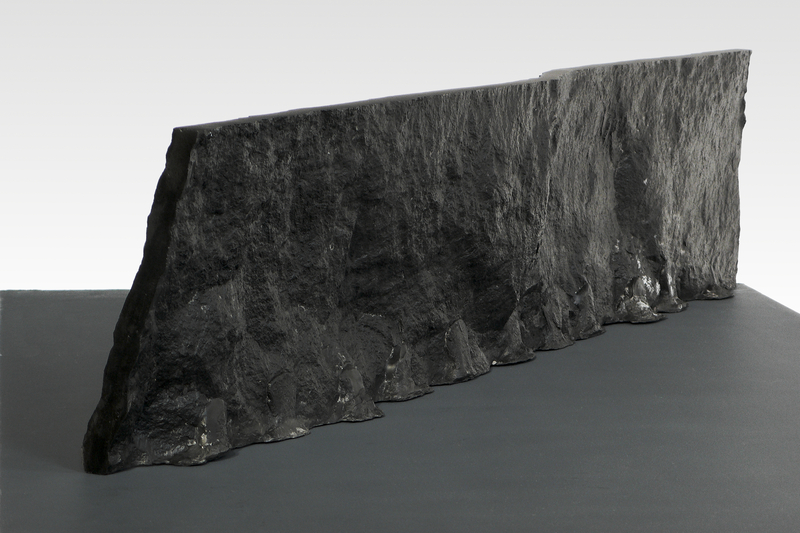 WALL no.2 is a cast of the negative space of two sides of a ruptured stone. A new element is formed of both the sides uniting the surfaces to an independently standing piece.